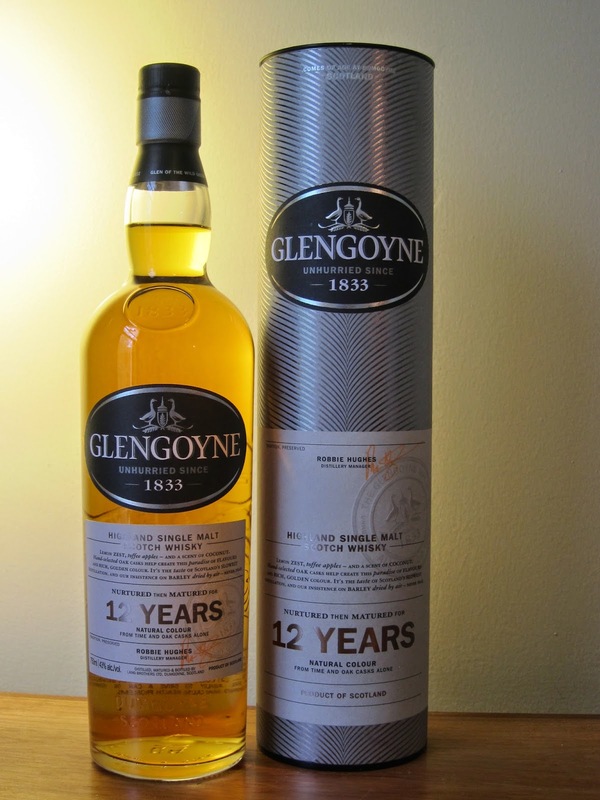 Glengoyne 12yo (43.0%): Glengoyne is owned by Ian Macleod distillers who also has Tamdhu and the famous independent bottling line Chieftain's in their portfolio besides many familiar brands. The distillery is the most southerly Highland distillery having their warehouses actually in Lowlands located just across the street which draws the line between two whisky regions of Scotland. I am not going to hide that Glengoyne became lately one of my favorite Highland distilleries and therefore I am trying to taste almost every expression I can put my hands on. This the second youngest in the line-up and not peated at all. Color: Yellow gold, light amber. Nose: Golden Delicious apples, orange blossom honey and artificially flavored cheap lemonade. Vanilla extract, white cardboard sheets you would usein your art class and lightly roasted hazelnuts with their skin on. A few drops of water opens it up with more citrusy and sweet notes: The way your fingers would smell after eating a sweet orange in a rush. Lemon bonbons and milk chocolate. Palate: Smooth texture. Malty and nutty. Unsalted butter, shortbread cookies and golden Oreos. Water breaks up the texture of the whisky and flattens its flavor profile quite a bit. Didn't really help on the palate like it did on the nose. Finish: Lingering sherry sourness with sweet hazelnut spread and Jordan almonds. Overall: Great balance of ex-bourbon and ex-sherry casks. Malty, nutty and full of character but also fruity and vibrant. Exactly how a 12 year old whisky should be... It's a very enjoyable everyday dram. Thumbs up..!